Taking a screen shot is really a very easy task, no matter which window operating system you are using or whether you are performing it on Laptop or desktop. 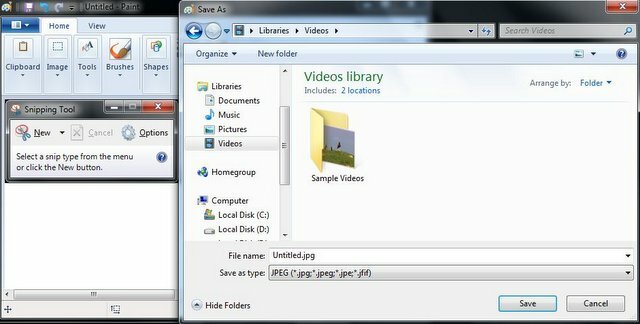 There are several software and application available online to capture Screenshot, but you can also take screen shot without them. The method will work in Windows XP, Vista, Windows7, RT , Windows 8.1, windows 10 + and will even work in MAC and Linux. First open the screen which you want to capture, then press Print Screen Key on your keyboard. It is usually labeled as [PrtScr]. Now open image editing program, like Microsoft Windows. Now press CTRL + V key or go to edit tab and choose paste. Now adjust the image size according to your desire. Go to the File MENU and choose save as tab. Navigate to the folder where you want to same the screen short. Now type the File Name and choose the format,such as jpeg, PNG, GIF etc., that’s it. If you want to capture only active window press ALT KEY with PRINT Screen Key. WITH Snipping Tool in Window 7 and Windows 8. Go to the start Menu, then All Programs, Accessories and choose snipping tool. Now press on NEW tab in Snipping tool and select the desire area that you want to capture. Go to file menu and press save. Type File name and select the image format. TAKE SCREEN SHOTS & Enjoy.